A rare genius indeed.. Very sad that he had to leave us so early. It was a great pleasure to meet him and have hosted him at the very first Transylvania Calling Gathering in 2004 before this Album even hit the market. What a lovely character. Loved hanging out with him in Helsinki too! 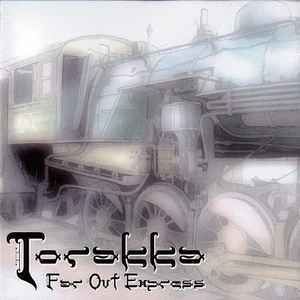 Torakka - Far Out Express is one of the greatest pieces of music I have heard in my brief life. There might be some greater genius at work within the world of music - in fact, I am quite sure that there is. The greatness of Torakka however does not lie within his genius, it lies rather in a rare combination of ambition, talent and the free musical form that the electronical genré supplies. Torakka takes the ideal - of not being limited to that which has been and to that which is, to others and even the instruments of creation which are presented to us as the norm - and realizes it. Through it he produces a musical reality, a soundscape, that is a depiction of his visions unhinged. This kind of freedom is a beautiful treat to observe.